Richard Ervin is an archaeologist with over thirty years of experience, a Christ Church parishioner, and a longtime member of the church’s Broad Creek Cemetery committee. Broad Creek Cemetery is a historic Christ Church Parish property and a serene patch of sacred land. “A most remarkable event in our country’s history was the War of 1812,” Delcuze points out. “Our being included on the Star Spangled Banner National Historic Trail helps people remember how important Kent Island was in this war that established once and for all, that this was an independent nation. After more than two hundred years of the Broad Creek church being at the heart of the parish’s spiritual connection to the island, where, as Delcuze says, “you buried your dead, where your children were baptized, where marriages took place,” times were changing. As the village of Broad Creek faded from existence, the Christ Church Parish congregation moved another couple miles north to the bustling new town of Stevensville. And the Broad Creek site deteriorated. 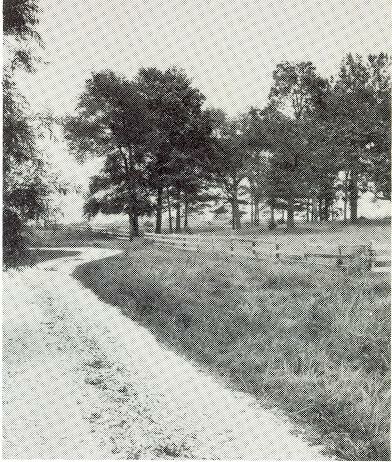 A 1950s-era archeological survey led by Dr. Reginald Van Truitt set important ground work, but generally the site was ignored until parishioner Joe Thompson (1926-2006) took a personal interest in the overgrown and neglected property. Thompson was determined to save the Broad Creek Cemetery. He enlisted the help of friend DeeDee McCracken and revitalization took seed. Richard Ervin came onboard not long after. Since 2001, Broad Creek Cemetery has been accepting new interments. Those burials conducted after the cemetery’s reopening were the first since 1908. “The cemetery is self sufficient,” says Ervin. “Plots are available to our congregation, as well as to members of the general community. Part of the income from that goes into our perpetual care fund to ensure that the cemetery will always be maintained and never fall back into disrepair. The focus has always been to put the cemetery to use while respecting the history of the land, the heritage, what it means to us. That remains unchanged as we move into the future,” says Ervin. “Some people were buried in shrouds, some in a pine box. Most folks were buried by their families, who probably dug the graves themselves or paid the local help to do it. That’s where you see the ebb and flow of life, and that’s part of what’s most moving about the cemetery. It’s the rootedness of who we are. Beautiful piece of work, Brent. A lovely tribute to the past and the people in the present who honor it.